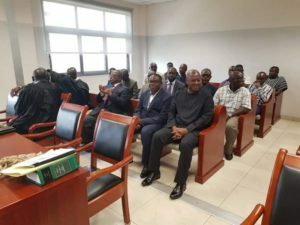 Shortly before 9 AM on Tuesday morning, Attorney-General, Gloria Akuffo, presented facts to Justice Samuel Asiedu, who is presiding over the case. 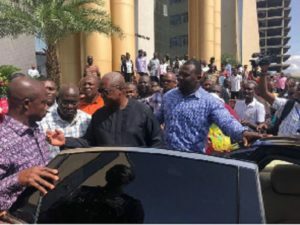 Ms. Akuffo stated that February 3, Ofosu Ampofo met with communication team members at the party headquarters where he planned to blame the NPP for crimes he plotted to commit against the public. 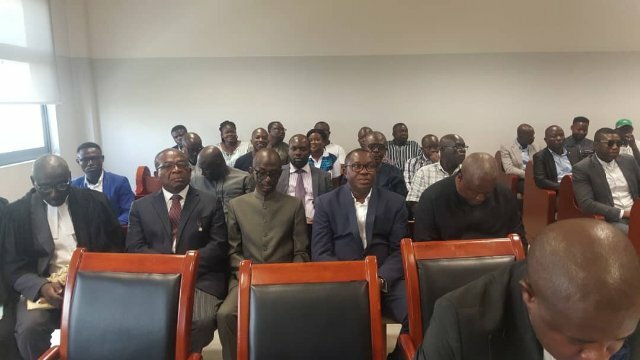 Following the meeting, Kwaku Boahen granted a radio interview and confirmed the meeting, adding that it was true reflection of what transpired. Two weeks later, the Criminal Investigations Department (CID) obtained a copy of the recording. Both Ofosu Ampofo and Kwaku Boahen have since been charged and arraigned. In another part, he is again heard admitting that the NDC had a ballot box protection unit in the Ayawaso West Wuogon constituency during the by-election.